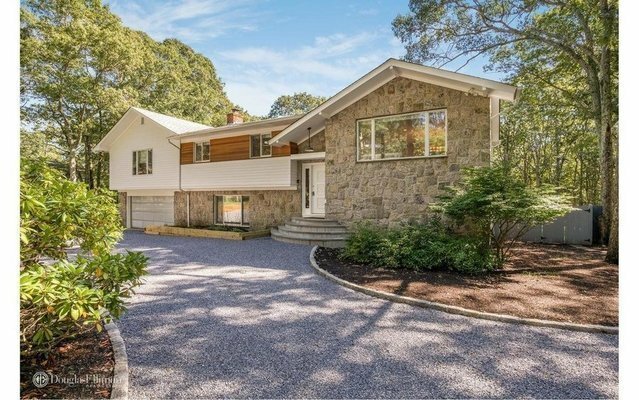 This newly renovated Sag Harbor home is just moments from Sag Harbor Village. Sitting on just over half an acre, this home boasts seven bedrooms, five full bathrooms all completed with water works finishes, en-suite master with sauna, chef's kitchen complete with new Poggenpohl cabinetry, quartz counter tops, stainless appliances, wine cooler and a large open living and dining area. Sliding glass doors from dining area lead to a nice size deck for outdoor entertainment. The lower level includes a large open den with wood burning fireplace, bar and game area all leading out to the expansive yard and pool area, which backs a reserve. Enjoy all this and private beach access!